To go along with my previous post about dice from the dollar store, I also scored packs of dominoes on my most recent shopping spree. These are great, because they are mini-dominoes, and five packs of them will fit inside a plastic pencil box with room to spare. 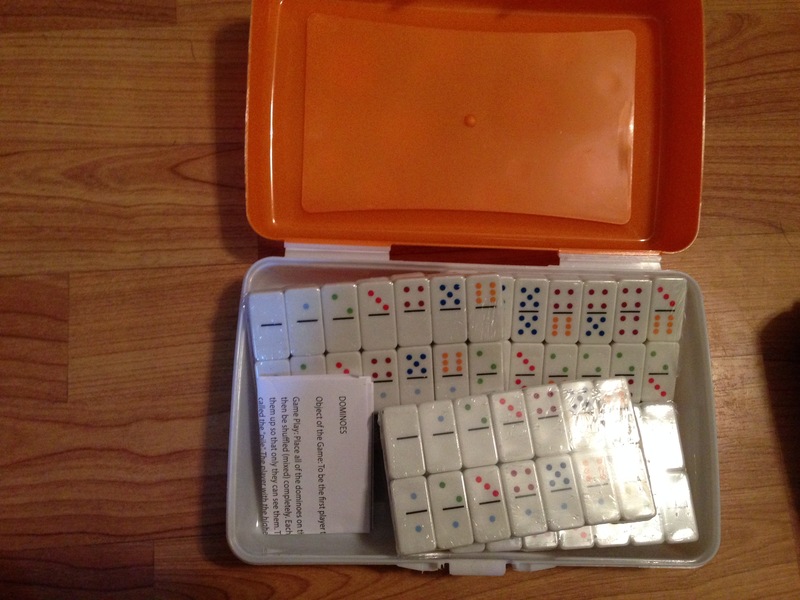 As with dice, there are tons of awesome lessons that use dominoes, including the examples here.